Our coffee school uses the latest equipment from the SanRemo range. 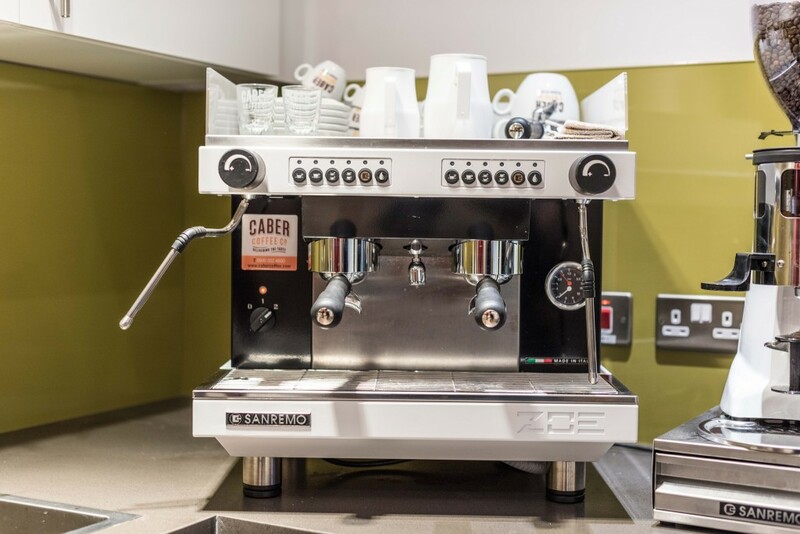 While most of our training is carried out on the Speciality Coffee Association of Europe (SCAE) approved Verona RS we also have the Zoe Compact that our pupils are free to use throughout their class. The Verona RS is as used in the 2015 UK Barista Championships. It offers industry leading temperature stability for coffee production and, thanks to insulated boilers and pipework, is a very low-energy consumption espresso machine. 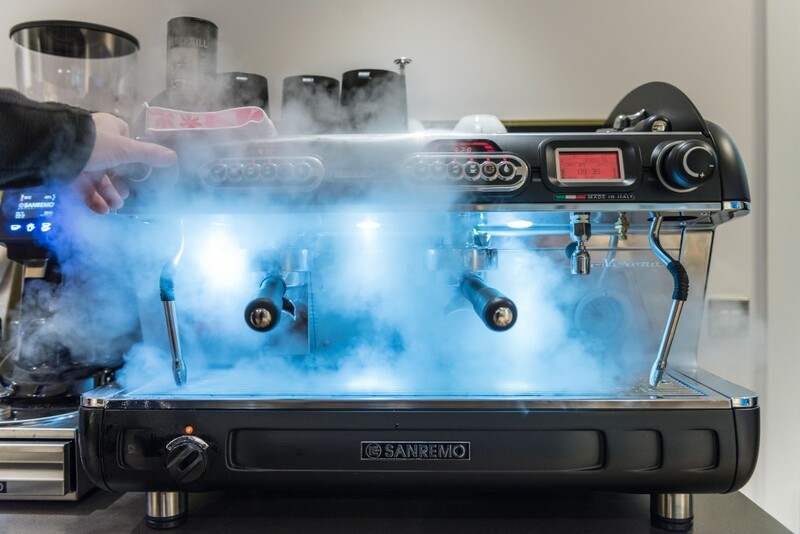 Combined with the stunning 1955 Mercedes Gullwing SL inspired looks and the on-demand SR70 grinder that sits alongside the machine not only does the RS suit our school perfectly but delivers a taste from your coffee that is simply unsurpassed. 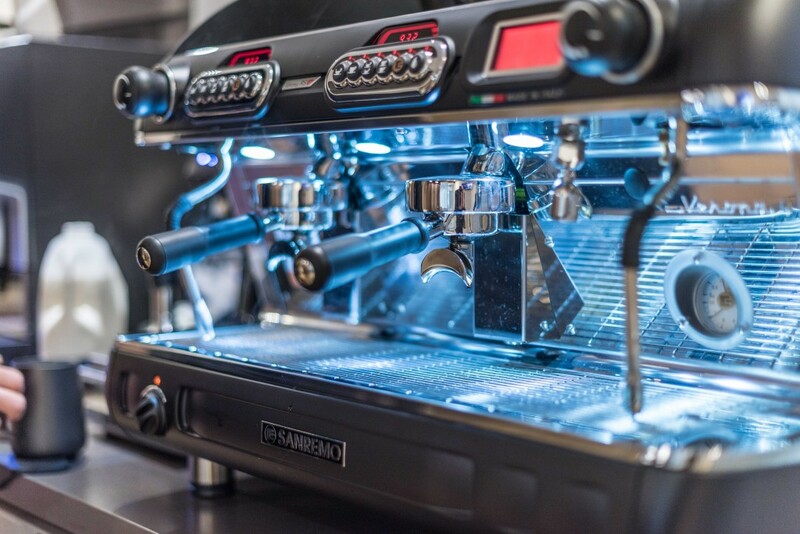 The RS was chosen not just because it makes amazing coffee but, as the controls are similar to those found on 90% of espresso machines in the UK market, skills learnt on this machine are easily transferrable to the machines our pupils use on a daily basis.